The invitation portion of the party planning was left up to my husband. This is his specialty! We, our girls and I, gave him the specs of what we wanted to have for the main focus of the invite, well, what the girls wanted. 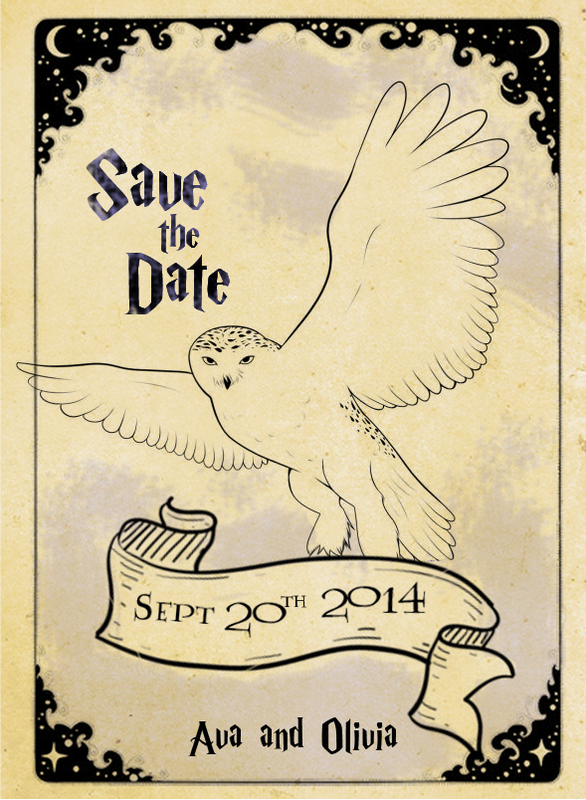 One daughter wanted it to be the Hogwart’s letter, the other daughter wanted it to be just like the save the date, and we wanted it to be easy to ready and understandable for those who aren’t Potterheads. This is what he came up with one day to turn it around! AAAand the best part was we all had our part in making this project come together. My husband designed, printed and cut everything. Then I folded, glued and stamped the envelopes, and, the girls popped on specially chosen HP stamps for each invite! Great cooperation project. Previous Post A Harry Potter Birthday Party!